Try to recall the last time you decided to try a new restaurant. Did you just bravely march into this unfamiliar place and place your order? Or did you first look up the reviews of the place to see what others had to say about it? Most likely the latter. Online reviews can often intimidate business owners. But that should no longer be the case. The tides have changed and unlike a couple of years ago, now you can use online reviews to enhance your online reputation and your visibility on the Internet. Online reviews can have the final say in deciding whether a customer goes through with a purchase. Nearly 90% of customers say that, for them, online reviews play a huge role in their buying decisions. There is a collective empathy amongst the large circuit of customers who shop online. When it comes to the performance of your service or product, prospective customers are bound to trust buyers like themselves and use their recommendations to inform their choices. It is no surprise then why so many companies are working extremely hard to get good reviews online from their customers. We all know that seeing good reviews from other customers can solidify your potential customers’ trust in your product or service. But what you may not know is that all reviews are good for business. Yes, you read that right. Even negative reviews can have a positive effect on your online reputation. It may seem counter-intuitive but negative reviews can play a huge role in communicating your brand’s authenticity to your customers. Seeing a couple of negative reviews communicates to your customers that the reviews of a product are genuine and that by not hiding such reviews, your brand isn’t trying to dupe them. 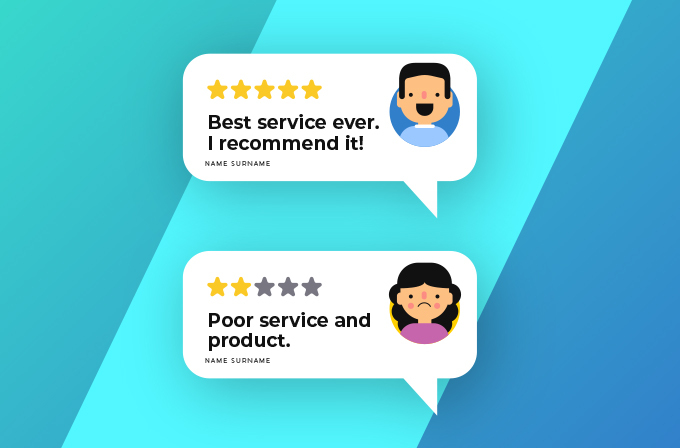 What’s more, seeing negative reviews managed effectively by the brand can make your customers confident about your general attitude in providing a service and in your after-sales services. It is undeniable that the more reviews your business has, the more conversions it is likely to bring in. A genuine review can be the final push which converts a browsing visitor into a purchasing visitor. Again, this ability to bring in conversions is not limited to positive reviews alone. Even negative reviews can have a positive influence over your conversion rate. The sense of legitimacy and trust that negative reviews (and their proper management) create can often translate into higher conversions. Online reviews make up nearly 10% of how Google and other search engines decide to rank search results. In other words, your online reviews can have a big say in how you are ranked on the search page. The kind of reviews your business has, their diversity and perceived authenticity, and their relevance for your target customers can impact how your business is placed on the search engine page. Additionally, the kind of reviews you receive on consumer forums can also help with SEO. Highly reviewed businesses of such platforms automatically get a boost in their position on the search page. Every online review is an opportunity to surge your visibility. The more online reviews you have, the more you can maximize your online visibility. This is why it is vital that you ensure that you are getting those reviews at a consistent rate. One way of doing this is by promoting your customers, via email or social media platforms, to leave you a review right after they have received their product or service. It might sound obvious, but it is often overlooked how something as simple as a friendly, personalized reminder can actually skyrocket the number of reviews you receive. Many a time, customers want to leave reviews but simply don’t know how they can do that. You can tackle this obstacle by making the review process accessible, intuitive and user-friendly. Many companies are choosing to incentivize the practice of leaving reviews by offering discount codes and other perks to those customers who leave feedback. While this is an ethical grey area, if done right, this method can produce reviews in abundance. If you choose to use incentive for reviews, make sure that you accept, endorse and respond to negative reviews as well. Only rewarding positive reviews can be ethically questionable and do your business more harm than good. 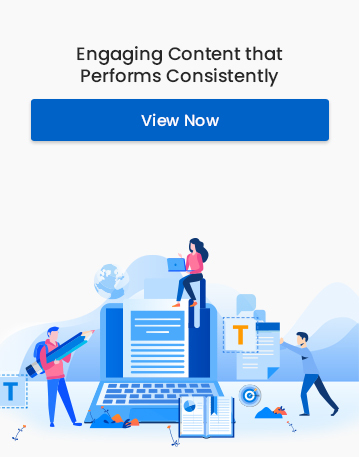 While you may have a reviewing platform in place on your website or app, users tend to trust third-party platforms a lot more for genuine, objective reviews. By signing up for platforms like Yelp! ,­­­­­­­­­­­­­­­­­­ Google My Business, TripAdvisor, Foursquare and so on, you can allow your customers to leave you feedback on a larger platform. This way a more diverse and larger audience gets the microphone to speak about their experience with your brand. It is important to remember that a big part of increasing visibility through reviews is interacting with your customers. Nothing does that as amazingly as social media. By setting up social media handles for your business and accepting and responding to reviews on such platforms can do wonders for your visibility. Social media platforms are accessible, popular and most importantly incredibly familiar. Your customers will be more comfortable using Facebook or Twitter to leave you a review than any other unfamiliar platform. This will push them to leave reviews more frequently and in larger numbers. Social media reviews make you visible to whole new demographics of consumers which you may have overlooked on other platforms. Every different platform can give you access to a new range of customers. Anyone can get a couple of views and conversions with online reviews but you should aim for more consistent visibility. To make your visibility through online reviews sustainable, the best habit you can adopt is engaging your reviewers. Use online comments and feedback as a means to start a dialogue with your customers about your products and services. Take polls, opinions, ‘Q&A’s online to see what your customers are really saying about you and if you can use these suggestions to make improvements. Take the time to read and respond to as many reviews as possible. Thank those customers who leave the positive remarks and showcase those reviews. Respond to the even negative reviews in a patient and conciliatory manner. The more you engage the more visible you become to your returning as well as your potential customers. Enhancing your visibility through reviews is not a passive process. Your visibility through reviews is not completely in the hands of the reviewers who leave a comment. Your engagement with that customer and your response plays an equally important role in determining whether the review will be good for business or not. Although reviews present themselves as an opportunity to showcase what is great about your service, you should remember that the real value of reviews lies in the insights they provide you with and the improvements you can make on using them. Always keep in mind: nothing beats the visibility of a brand that is reflective of its shortcomings and uses feedback to enhance its quality and services.